There are 12 cat videos tagged with bulldog. 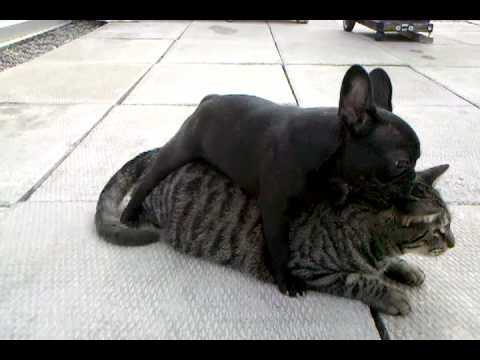 Betty is an adorable black Frenchie and her friend is a chubby tabby named Gary. The two start to play and Betty ends up on top of Gary for most of the video, chewing on his ears. 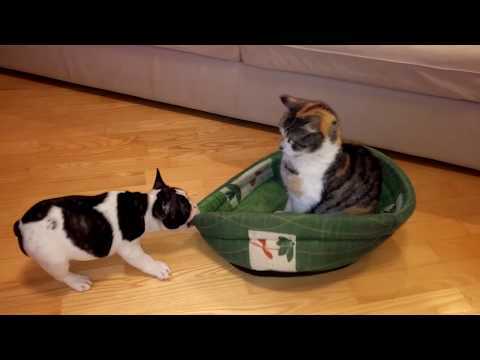 Pixel, a 10-week-old French Bulldog puppy has his bed stolen by his cat sibling. 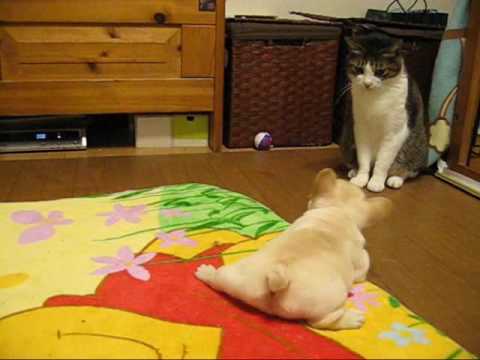 He tries as hard as he can to get it back but the cat (who just looks bored) doesn't give it up. The owners posted a follow up video that you can see here. 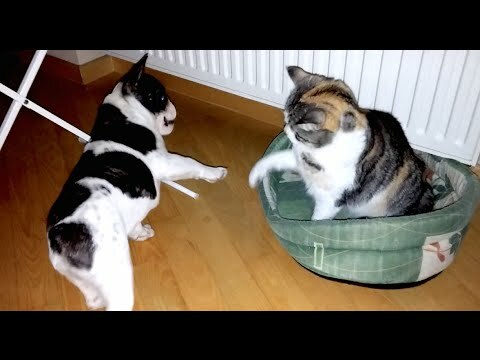 These crazy English Bulldog puppies gang up on a cat. But don't worry! She takes it well and none of the adorable animals are harmed. 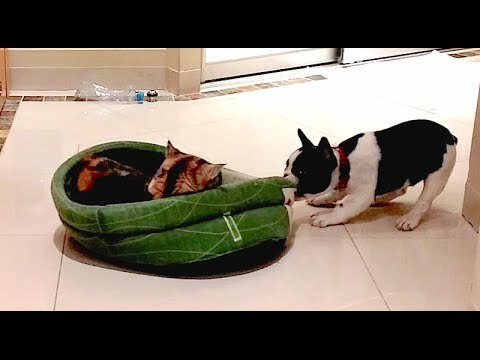 Pixel the French Bulldog finally gets his bed back from his cat sibling.